On November 14, 2003 at approx. 9:20 PM while in marked unit Special Operations 199. Officer Tim Sullivan queried MA Reg travelling east on Broadway at School Street, both streets are public ways within the City of Somerville. The listing came back active but the registered owner, Julien Restrepo had an active default warrant for his arrest and the inspection sticker on the vehicle was expired. We activated our blue lights and stopped the vehicle at Broadway and Walnut St. I approached the vehicle and asked the driver, Julien Restrepo for his license and registration and explained why I had stopped him. At this time Detectives Jim Hyde and Ariel Collazo acting as back-up approached the vehicle. Could smell a strong odor of FRESH UNBURNT marijuana emitting from this vehicle. Officer Sullivan and both Detectives concurred with this finding when I asked them if they also smelled the unburnt marijuana odor. I placed Rodriguez under arrest for Possession Class D with Intent to Sell and Possession Class D with Intent to sell in a School Zone. Note that we passed within 300 feet of the Elizabeth Peabody House Daycare Center, a licensed daycare facility located across the street from the motor vehicle stop. A further search of the blue backpack turned up 5 other small baggies of marijuana packaged individually for sale. 1 silver grinder and 1 black grinder. 1 small baggie of marijuana was located in the center console. 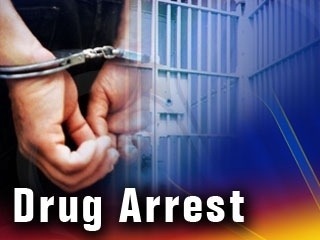 Julien Restrepo was placed under arrest for the warrant and Joel Rodriguez was placed under arrest for Possession Class D with Intent to Sell and Possession Class D with Intent to Sell in a School Zone. The vehicle was towed by Pats Tow and both defendants transported to the station via 200 and booked by Lt Mulcahy. 1 blue back pack, All baggies,2 grinders,2 cell phones and $240 US Currency from Rodriguez were confiscated and marked as evidence and placed into secure evidence locker #4. Detective Jim McNally weighed the marijuana and it totaled 139.75 grams. Previous PostReal Life Somerville Police StoriesNext PostWe need your help to keep bringing healthy, affordable food to all Somerville residents.